Do you want to be a trader? While trading platforms often tout that all you need is a platform and internet access to begin trading, it is never enough. Sure, there are no barriers to entry and you can get started whenever you want, but there is no guarantee you will succeed. Most traders go out in the first year because they don’t really know what they are doing and are just making lucky decisions. Trading education and guidance is of the utmost importance and you need to make sure that you are getting it from the right sources. Yes, there is no shortage of websites these days that claim to be a huge source of trading info that can help you become a whiz in a few days. But, the fact is that most of these are just leading you on and out to get your money. You need a website that can provide you with valuable and accurate information about the trading market and this is exactly what Trademy is. It is a platform that has been especially created for anyone who wants to understand the ins and outs of trading in a comprehensive manner. First and foremost, Trademy is aware that not all traders are same. There are some who are just thinking about taking the chance of availing the opportunities in the trading market while others are only familiar with the basics and need to be seasoned. There are also experts out there who are just a bit shy of professional and need some additional skills and tools to help them gain an edge. Therefore, Trademy offers courses for Beginners, Students and Professional levels. One impressive benefit that makes Trademy stand out amongst the various other platforms out there is that it has aimed to make the trading world easy for everyone. New and skilled traders don’t have to drown themselves in books that can often be difficult to understand. Trademy offers videos to help people in exploring the workings of the trading community. While other platforms also have videos, they are long, detailed and comprise of jargon that can be difficult to comprehend, especially for beginners. Trademy has made the videos short yet meaningful and creative videos that give an in-depth look into the market. The lessons are of high quality and there is plenty of training materials combined with support of world-class mentors. Trademy has taken the responsibility of guiding people while they navigate the sensitive and fluctuating the trading market and it has chosen to do it by offering a wide array of courses. As mentioned above, the courses are designed for different levels of traders. 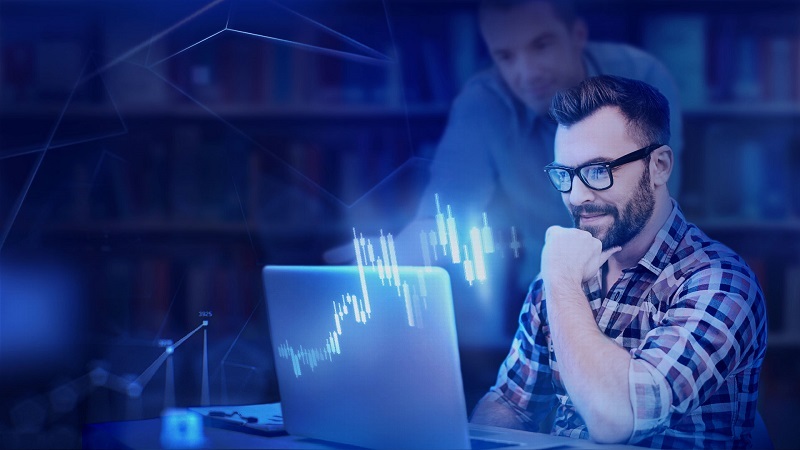 What makes them special is that they comprise of a plethora of features and tools that can make it easier for traders to learn how to implement numerous trading strategies and understand various trading styles. There is an Introduction to Trading Course, an Intro Trader Course, Professional Trader Course, Expert Trader Course and Star Trader Course. These courses are priced differently and are designed for traders of varying levels of expertise. As mentioned above, Trademy caters to every trader’s needs. Beginners cannot get started in the market immediately because there is a good chance they will lose their money. This is why Trademy offers a demo account to these traders that gives them an idea of how the market will look like when they finally do step into it. The demo account helps them acclimate to the trading environment. There is also a live trading room, which is for traders who are ready to see how the real market works. Here, traders get to see real professionals at work and are able to communicate with mentors. You get to see their real open positions in the market and not just the closed trades. This is a huge advantage because these real positions can be used by students to their own trading, whether they are trading with a bank, broker or elsewhere. You can see the mentors on your screen and also communicate with other students. Trademy believes in testing the progress of its students and awarding them accordingly. Thus, after traders have gone through the high quality lessons, they have to go through short tests and quiz that can help them know what they have learnt and where they lack. This unique education platform awards its students points, awards and badges according to how they perform on these tests. This can also be a motivating factor for the students as it drives them to work and study harder in order to achieve more. Another avenue where Trademy proves itself to be a unique education platform is the fact that it can be accessed on any device. You can use it on your desktop PC, but if you want to access it on your smartphone, laptop or tablet, you can also do that. You can enjoy the educational and wonderful videos on your smartphone while returning from work or during your lunch break. Last, but definitely not the least, Trademy also enriches its traders by enabling them to enjoy the expertise and skill of some great mentors. Kyriakos Charilaou has an excellent record of training other traders and has plenty of experience in the financial market. Likewise, Elif Kunakci has spent years in the financial industry learning all there is to know about the numerous financial products. She understands market movements and shares her extensive knowledge with other traders. Alexander York, George Pereira and Simon Vexler are some other mentors, all with a pool of knowledge. All these benefits make Trademy.com an amazing educational platform for anyone who wants to learn trading.